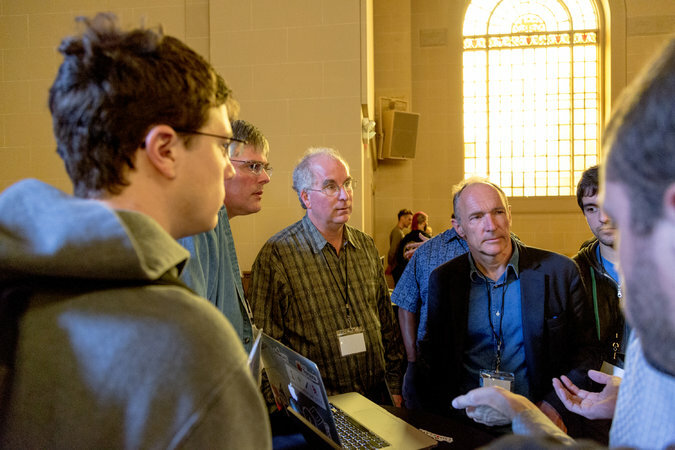 This week, the Internet Archive is hosting a three-day event (which finishes today) called The Decentralized Web Summit, whose goal is to figure out how to build a new Internet that is "locked open," an idea that emerged from Internet Archive founder Brewster Kahle's 2015 series of talks and articles about how technologists can build networks and protocols that are resistant to attempt to capture, monopolize and control them. I attended the first two days, and the event was inspiring and brilliant. Speakers included Vint Cerf, one of the inventors of the core Internet technologies; and Tim Berners-Lee, who invented the web. The New York Times story about the first day captures some of the flavor of optimism and urgency in the room, and the sense that Edward Snowden's whistleblowing revealed that the Internet had become a system of nightmarish control and surveillance that disproportionately benefited the powerful and corrupt at the expense of everyone else. Twenty-seven years ago, Tim Berners-Lee created the World Wide Web as a way for scientists to easily find information. It has since become the world’s most powerful medium for knowledge, communications and commerce — but that doesn’t mean Mr. Berners-Lee is happy with all of the consequences.